(Matt Sayles | Invision/AP file photo) Beyonce performs at the 59th annual Grammy Awards in Los Angeles on Feb. 12, 2017. “Homecoming” will provide “an in-depth look at Beyoncé's celebrated 2018 Coachella performance from creative concept to cultural movement,” according to Netflix. The streaming giant released a trailer Monday that features behind-the-scenes footage from rehearsals, as well as a rare shot of what appears to be Rumi and Sir, Beyoncé and Jay-Z’s twins. Just as she’s known for her elaborate stage designs and fierce dance moves, Beyoncé is also characterized by keeping massive projects a secret right up until they’re about to be released. While a documentary special of the Coachella concert isn’t entirely unsurprising, Netflix’s Sunday announcement was the first time we learned of its existence. Dubbed “Beychella” by DJ Khaled, the April 2018 headlining set attracted viewers worldwide via the Coachella live stream, which repeated the performance the following day. Since then, fans have had to content themselves with crowd videos to relive the entirety of the concert, which captivated social media and became the subject of countless essays. “Beychella” became a stunning spectacle. 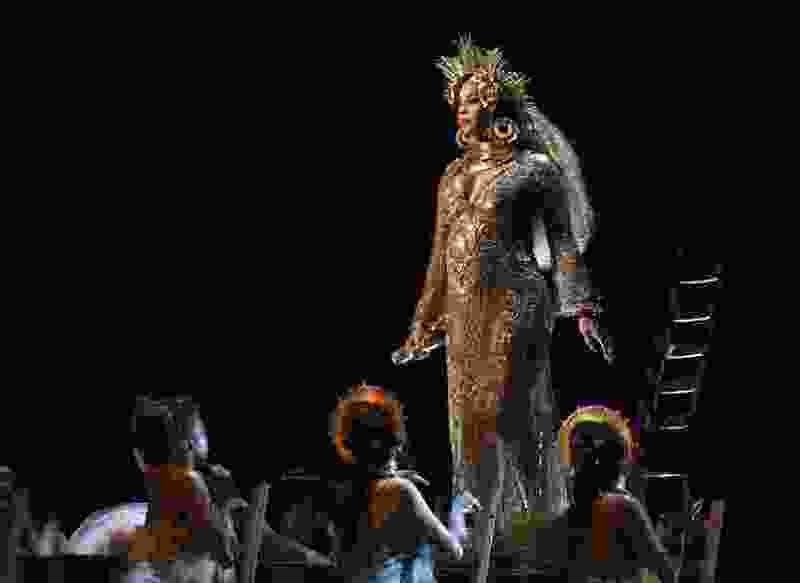 Her first major performance since giving birth to twins was essentially an ode to historically black colleges and universities, and more broadly, black culture, complete with a drum line, majorettes, step-dancing and a mock probate. More than a hundred dancers and musicians donned the Beyhive’s signature colors, yellow and black, and flanked the singer as she moved from song to song, including “Lift Every Voice and Sing,” commonly referred to as the black national anthem. The trailer Netflix released will likely get into the genesis of the performance, including the no-doubt intense rehearsals to get the intricate dancer and musician formations so exact. Beyoncé had initially expected to headline Coachella in 2017, but she had to back out because of her pregnancy. And it was during that performing hiatus that she came up with the concept for Coachella.